Engine: 3.6L V6 24V VVT, Transmission: 8-Speed Automatic (845RE), Steering Wheel Mounted Audio Controls, Full Size Temporary Use Spare Tire, Big Horn Regional Package, Bighorn Badge, Bright/Bright Billets Grille, Leather Wrapped Steering Wheel, Electric Shift On Demand Transfer Case, Locking Lug Nuts NOT AVAILABLE with Texas ship to. Engine: 5.7L V8 HEMI MDS VVT, Transmission: 8-Speed Automatic (8HP70), Steering Wheel Mounted Audio Controls, Full Size Temporary Use Spare Tire, Big Horn Regional Package, Bighorn Badge, Bright/Bright Billets Grille, Leather Wrapped Steering Wheel, Electric Shift On Demand Transfer Case, Locking Lug Nuts *Upon selection of this pkg, the cost of powertrain components will be added* NOT AVAILABLE with Texas ship to. Engine: 3.0L V6 Turbo Diesel, Transmission: 8-Speed Automatic (8HP70) (DFD), Steering Wheel Mounted Audio Controls, Full Size Temporary Use Spare Tire, Big Horn Regional Package, Bighorn Badge, Bright/Bright Billets Grille, Leather Wrapped Steering Wheel, Electric Shift On Demand Transfer Case, Locking Lug Nuts *Upon selection of this pkg, the cost of powertrain components will be added* NOT AVAILABLE with Texas ship to. Engine: 5.7L V8 HEMI MDS VVT, Transmission: 8-Speed Automatic (8HP70), Steering Wheel Mounted Audio Controls, Lone Star Regional Package, Full Size Temporary Use Spare Tire, Lonestar Badge, Bright/Bright Billets Grille, Leather Wrapped Steering Wheel, Electric Shift On Demand Transfer Case, Locking Lug Nuts *Upon selection of this pkg, the cost of powertrain components will be added* REQUIRES Texas ship to. Engine: 3.0L V6 Turbo Diesel, Transmission: 8-Speed Automatic (8HP70) (DFD), Steering Wheel Mounted Audio Controls, Lone Star Regional Package, Full Size Temporary Use Spare Tire, Lonestar Badge, Bright/Bright Billets Grille, Leather Wrapped Steering Wheel, Electric Shift On Demand Transfer Case, Locking Lug Nuts *Upon selection of this pkg, the cost of powertrain components will be added* REQUIRES Texas ship to. Engine: 3.6L V6 24V VVT, Transmission: 8-Speed Automatic (845RE), Steering Wheel Mounted Audio Controls, Lone Star Regional Package, Full Size Temporary Use Spare Tire, Lonestar Badge, Bright/Bright Billets Grille, Leather Wrapped Steering Wheel, Electric Shift On Demand Transfer Case, Locking Lug Nuts REQUIRES Texas ship to. Engine: 5.7L V8 HEMI MDS VVT, Transmission: 8-Speed Automatic (8HP70), Steering Wheel Mounted Audio Controls, Dual Rear Exhaust w/Bright Tips, Full Size Temporary Use Spare Tire, Big Horn Regional Package, Bighorn Badge, Bright/Bright Billets Grille, Leather Wrapped Steering Wheel, Electric Shift On Demand Transfer Case, Locking Lug Nuts *Upon selection of this pkg, the cost of powertrain components will be added* NOT AVAILABLE with Texas ship to. Engine: 5.7L V8 HEMI MDS VVT, Transmission: 8-Speed Automatic (8HP70), Bighorn Badge, Bright/Bright Billets Grille, Leather Wrapped Steering Wheel, Steering Wheel Mounted Audio Controls, Locking Lug Nuts, Full Size Temporary Use Spare Tire, Big Horn Regional Package *Upon selection of this pkg, the cost of powertrain components will be added* NOT AVAILABLE with Texas ship to. Engine: 3.0L V6 Turbo Diesel, Transmission: 8-Speed Automatic (8HP70) (DFD), Bighorn Badge, Bright/Bright Billets Grille, Leather Wrapped Steering Wheel, Steering Wheel Mounted Audio Controls, Locking Lug Nuts, Full Size Temporary Use Spare Tire, Big Horn Regional Package *Upon selection of this pkg, the cost of powertrain components will be added* NOT AVAILABLE with Texas ship to. Engine: 3.6L V6 24V VVT, Transmission: 8-Speed Automatic (845RE), Bighorn Badge, Bright/Bright Billets Grille, Leather Wrapped Steering Wheel, Steering Wheel Mounted Audio Controls, Locking Lug Nuts, Full Size Temporary Use Spare Tire, Big Horn Regional Package NOT AVAILABLE with Texas ship to. Engine: 5.7L V8 HEMI MDS VVT, Transmission: 8-Speed Automatic (8HP70), Lonestar Badge, Bright/Bright Billets Grille, Leather Wrapped Steering Wheel, Steering Wheel Mounted Audio Controls, Lone Star Regional Package, Locking Lug Nuts, Full Size Temporary Use Spare Tire *Upon selection of this pkg, the cost of powertrain components will be added* REQUIRES Texas ship to. Engine: 3.0L V6 Turbo Diesel, Transmission: 8-Speed Automatic (8HP70) (DFD), Lonestar Badge, Bright/Bright Billets Grille, Leather Wrapped Steering Wheel, Steering Wheel Mounted Audio Controls, Lone Star Regional Package, Locking Lug Nuts, Full Size Temporary Use Spare Tire *Upon selection of this pkg, the cost of powertrain components will be added* REQUIRES Texas ship to. Engine: 3.6L V6 24V VVT, Transmission: 8-Speed Automatic (845RE), Lonestar Badge, Bright/Bright Billets Grille, Leather Wrapped Steering Wheel, Steering Wheel Mounted Audio Controls, Lone Star Regional Package, Locking Lug Nuts, Full Size Temporary Use Spare Tire REQUIRES Texas ship to. Engine: 5.7L V8 HEMI MDS VVT, Transmission: 8-Speed Automatic (8HP70), Steering Wheel Mounted Audio Controls, Dual Rear Exhaust w/Bright Tips, Full Size Temporary Use Spare Tire, Big Horn Regional Package, Bighorn Badge, Bright/Bright Billets Grille, Leather Wrapped Steering Wheel, Locking Lug Nuts *Upon selection of this pkg, the cost of powertrain components will be added* NOT AVAILABLE with Texas ship to. Engine: 5.7L V8 HEMI MDS VVT, Transmission: 8-Speed Automatic (8HP70), Steering Wheel Mounted Audio Controls, Dual Rear Exhaust w/Bright Tips, Lone Star Regional Package, Full Size Temporary Use Spare Tire, Lonestar Badge, Bright/Bright Billets Grille, Leather Wrapped Steering Wheel, Locking Lug Nuts *Upon selection of this pkg, the cost of powertrain components will be added* REQUIRES Texas ship to. Engine: 3.6L V6 24V VVT, Transmission: 8-Speed Automatic (845RE), Lone Star Regional Package, Full Size Temporary Use Spare Tire, LED Bed Lighting, Overhead Console w/Garage Dr Opener, Universal Garage Door Opener, Steering Wheel Mounted Audio Controls, Sun Visors w/Illuminated Vanity Mirrors, Electroluminescent Instrument Cluster, Exterior Mirrors Courtesy Lamps, Glove Box Lamp, Underhood Lamp, Auto Dim Exterior Mirrors, Ash Tray Lamp, Exterior Mirrors w/Supplemental Signals, Rear Dome w/On/Off Switch Lamp, Leather Wrapped Steering Wheel, Rear View Auto Dim Mirror w/Microphone, Power Heated Fold-Away Mirrors, Power Folding Mirrors, Lonestar Badge, Bright/Bright Billets Grille, Electric Shift On Demand Transfer Case, Remote Start System, Locking Lug Nuts, Security Alarm, Nav-Capable! See Dealer for Details, 6 Month Trial (Registration Required), Media Hub (SD, USB, AUX), For Details Visit DriveUconnect.com, Harman Radio Manufacturer, Uconnect Access, 8.4" Touchscreen Display, 6 Month Trial (Reg, Required), Remote SD Card Slot REQUIRES Texas ship to. Engine: 3.6L V6 24V VVT, Transmission: 8-Speed Automatic (845RE), Lone Star Regional Package, Full Size Temporary Use Spare Tire, LED Bed Lighting, Overhead Console w/Garage Dr Opener, Universal Garage Door Opener, Steering Wheel Mounted Audio Controls, Sun Visors w/Illuminated Vanity Mirrors, Electroluminescent Instrument Cluster, Exterior Mirrors Courtesy Lamps, Glove Box Lamp, Underhood Lamp, Auto Dim Exterior Mirrors, Ash Tray Lamp, Exterior Mirrors w/Supplemental Signals, Rear Dome w/On/Off Switch Lamp, Leather Wrapped Steering Wheel, Rear View Auto Dim Mirror w/Microphone, Power Heated Fold-Away Mirrors, Power Folding Mirrors, Lonestar Badge, Bright/Bright Billets Grille, Electric Shift On Demand Transfer Case, Remote Start System, Locking Lug Nuts, Security Alarm, Nav-Capable! See Dealer for Details, 6 Month Trial (Registration Required), Media Hub (SD, USB, AUX), Uconnect Access, 8.4" Touchscreen Display, 6 Month Trial (Reg, Required), For Details Visit DriveUconnect.com, Remote SD Card Slot REQUIRES Texas ship to. Engine: 5.7L V8 HEMI MDS VVT, Transmission: 8-Speed Automatic (8HP70), Lone Star Regional Package, Dual Rear Exhaust w/Bright Tips, Full Size Temporary Use Spare Tire, LED Bed Lighting, Overhead Console w/Garage Dr Opener, Universal Garage Door Opener, Steering Wheel Mounted Audio Controls, Sun Visors w/Illuminated Vanity Mirrors, Electroluminescent Instrument Cluster, Exterior Mirrors Courtesy Lamps, Glove Box Lamp, Underhood Lamp, Auto Dim Exterior Mirrors, Ash Tray Lamp, Exterior Mirrors w/Supplemental Signals, Rear Dome w/On/Off Switch Lamp, Leather Wrapped Steering Wheel, Rear View Auto Dim Mirror w/Microphone, Power Heated Fold-Away Mirrors, Power Folding Mirrors, Lonestar Badge, Bright/Bright Billets Grille, Electric Shift On Demand Transfer Case, Remote Start System, Locking Lug Nuts, Security Alarm, Nav-Capable! See Dealer for Details, 6 Month Trial (Registration Required), Media Hub (SD, USB, AUX), Uconnect Access, 8.4" Touchscreen Display, 6 Month Trial (Reg, Required), For Details Visit DriveUconnect.com, Remote SD Card Slot *Upon selection of this pkg, the cost of powertrain components will be added* REQUIRES Texas ship to. Engine: 5.7L V8 HEMI MDS VVT, Transmission: 8-Speed Automatic (8HP70), Lone Star Regional Package, Full Size Temporary Use Spare Tire, LED Bed Lighting, Overhead Console w/Garage Dr Opener, Universal Garage Door Opener, Steering Wheel Mounted Audio Controls, Sun Visors w/Illuminated Vanity Mirrors, Electroluminescent Instrument Cluster, Exterior Mirrors Courtesy Lamps, Glove Box Lamp, Underhood Lamp, Auto Dim Exterior Mirrors, Ash Tray Lamp, Exterior Mirrors w/Supplemental Signals, Rear Dome w/On/Off Switch Lamp, Leather Wrapped Steering Wheel, Rear View Auto Dim Mirror w/Microphone, Power Heated Fold-Away Mirrors, Power Folding Mirrors, Lonestar Badge, Bright/Bright Billets Grille, Electric Shift On Demand Transfer Case, Remote Start System, Locking Lug Nuts, Security Alarm, Nav-Capable! See Dealer for Details, 6 Month Trial (Registration Required), Media Hub (SD, USB, AUX), For Details Visit DriveUconnect.com, Harman Radio Manufacturer, Uconnect Access, 8.4" Touchscreen Display, 6 Month Trial (Reg, Required), Remote SD Card Slot *Upon selection of this pkg, the cost of powertrain components will be added* REQUIRES Texas ship to. Engine: 3.0L V6 Turbo Diesel, Transmission: 8-Speed Automatic (8HP70) (DFD), Lone Star Regional Package, Full Size Temporary Use Spare Tire, LED Bed Lighting, Overhead Console w/Garage Dr Opener, Universal Garage Door Opener, Steering Wheel Mounted Audio Controls, Sun Visors w/Illuminated Vanity Mirrors, Electroluminescent Instrument Cluster, Exterior Mirrors Courtesy Lamps, Glove Box Lamp, Underhood Lamp, Auto Dim Exterior Mirrors, Ash Tray Lamp, Exterior Mirrors w/Supplemental Signals, Rear Dome w/On/Off Switch Lamp, Leather Wrapped Steering Wheel, Rear View Auto Dim Mirror w/Microphone, Power Heated Fold-Away Mirrors, Power Folding Mirrors, Lonestar Badge, Bright/Bright Billets Grille, Electric Shift On Demand Transfer Case, Remote Start System, Locking Lug Nuts, Security Alarm, Nav-Capable! See Dealer for Details, 6 Month Trial (Registration Required), Media Hub (SD, USB, AUX), For Details Visit DriveUconnect.com, Harman Radio Manufacturer, Uconnect Access, 8.4" Touchscreen Display, 6 Month Trial (Reg, Required), Remote SD Card Slot *Upon selection of this pkg, the cost of powertrain components will be added* REQUIRES Texas ship to. Engine: 3.0L V6 Turbo Diesel, Transmission: 8-Speed Automatic (8HP70) (DFD), Lone Star Regional Package, Full Size Temporary Use Spare Tire, LED Bed Lighting, Overhead Console w/Garage Dr Opener, Universal Garage Door Opener, Steering Wheel Mounted Audio Controls, Sun Visors w/Illuminated Vanity Mirrors, Electroluminescent Instrument Cluster, Exterior Mirrors Courtesy Lamps, Glove Box Lamp, Underhood Lamp, Auto Dim Exterior Mirrors, Ash Tray Lamp, Exterior Mirrors w/Supplemental Signals, Rear Dome w/On/Off Switch Lamp, Leather Wrapped Steering Wheel, Rear View Auto Dim Mirror w/Microphone, Power Heated Fold-Away Mirrors, Power Folding Mirrors, Lonestar Badge, Bright/Bright Billets Grille, Remote Start System, Locking Lug Nuts, Security Alarm, Nav-Capable! See Dealer for Details, 6 Month Trial (Registration Required), Media Hub (SD, USB, AUX), For Details Visit DriveUconnect.com, Harman Radio Manufacturer, Uconnect Access, 8.4" Touchscreen Display, 6 Month Trial (Reg, Required), Remote SD Card Slot *Upon selection of this pkg, the cost of powertrain components will be added* REQUIRES Texas ship to. Engine: 3.6L V6 24V VVT, Transmission: 8-Speed Automatic (845RE), Lone Star Regional Package, Full Size Temporary Use Spare Tire, LED Bed Lighting, Overhead Console w/Garage Dr Opener, Universal Garage Door Opener, Steering Wheel Mounted Audio Controls, Sun Visors w/Illuminated Vanity Mirrors, Electroluminescent Instrument Cluster, Exterior Mirrors Courtesy Lamps, Glove Box Lamp, Underhood Lamp, Auto Dim Exterior Mirrors, Ash Tray Lamp, Exterior Mirrors w/Supplemental Signals, Rear Dome w/On/Off Switch Lamp, Leather Wrapped Steering Wheel, Rear View Auto Dim Mirror w/Microphone, Power Heated Fold-Away Mirrors, Power Folding Mirrors, Lonestar Badge, Bright/Bright Billets Grille, Remote Start System, Locking Lug Nuts, Security Alarm, Nav-Capable! See Dealer for Details, 6 Month Trial (Registration Required), Media Hub (SD, USB, AUX), For Details Visit DriveUconnect.com, Harman Radio Manufacturer, Uconnect Access, 8.4" Touchscreen Display, 6 Month Trial (Reg, Required), Remote SD Card Slot REQUIRES Texas ship to. Engine: 5.7L V8 HEMI MDS VVT, Transmission: 8-Speed Automatic (8HP70), Lone Star Regional Package, Full Size Temporary Use Spare Tire, LED Bed Lighting, Overhead Console w/Garage Dr Opener, Universal Garage Door Opener, Steering Wheel Mounted Audio Controls, Sun Visors w/Illuminated Vanity Mirrors, Electroluminescent Instrument Cluster, Exterior Mirrors Courtesy Lamps, Glove Box Lamp, Underhood Lamp, Auto Dim Exterior Mirrors, Ash Tray Lamp, Exterior Mirrors w/Supplemental Signals, Rear Dome w/On/Off Switch Lamp, Leather Wrapped Steering Wheel, Rear View Auto Dim Mirror w/Microphone, Power Heated Fold-Away Mirrors, Power Folding Mirrors, Lonestar Badge, Bright/Bright Billets Grille, Remote Start System, Locking Lug Nuts, Security Alarm, Nav-Capable! See Dealer for Details, 6 Month Trial (Registration Required), Media Hub (SD, USB, AUX), For Details Visit DriveUconnect.com, Harman Radio Manufacturer, Uconnect Access, 8.4" Touchscreen Display, 6 Month Trial (Reg, Required), Remote SD Card Slot *Upon selection of this pkg, the cost of powertrain components will be added* REQUIRES Texas ship to. Engine: 5.7L V8 HEMI MDS VVT, Transmission: 8-Speed Automatic (8HP70), Lone Star Regional Package, Full Size Temporary Use Spare Tire, LED Bed Lighting, Overhead Console w/Garage Dr Opener, Universal Garage Door Opener, Steering Wheel Mounted Audio Controls, Sun Visors w/Illuminated Vanity Mirrors, Electroluminescent Instrument Cluster, Exterior Mirrors Courtesy Lamps, Glove Box Lamp, Underhood Lamp, Auto Dim Exterior Mirrors, Ash Tray Lamp, Exterior Mirrors w/Supplemental Signals, Rear Dome w/On/Off Switch Lamp, Leather Wrapped Steering Wheel, Rear View Auto Dim Mirror w/Microphone, Power Heated Fold-Away Mirrors, Power Folding Mirrors, Lonestar Badge, Bright/Bright Billets Grille, Remote Start System, Locking Lug Nuts, Security Alarm, Nav-Capable! See Dealer for Details, 6 Month Trial (Registration Required), Media Hub (SD, USB, AUX), Uconnect Access, 8.4" Touchscreen Display, 6 Month Trial (Reg, Required), For Details Visit DriveUconnect.com, Remote SD Card Slot *Upon selection of this pkg, the cost of powertrain components will be added* REQUIRES Texas ship to. Engine: 3.6L V6 24V VVT, Transmission: 8-Speed Automatic (845RE), Lone Star Regional Package, Full Size Temporary Use Spare Tire, LED Bed Lighting, Overhead Console w/Garage Dr Opener, Universal Garage Door Opener, Steering Wheel Mounted Audio Controls, Sun Visors w/Illuminated Vanity Mirrors, Electroluminescent Instrument Cluster, Exterior Mirrors Courtesy Lamps, Glove Box Lamp, Underhood Lamp, Auto Dim Exterior Mirrors, Ash Tray Lamp, Exterior Mirrors w/Supplemental Signals, Rear Dome w/On/Off Switch Lamp, Leather Wrapped Steering Wheel, Rear View Auto Dim Mirror w/Microphone, Power Heated Fold-Away Mirrors, Power Folding Mirrors, Lonestar Badge, Bright/Bright Billets Grille, Remote Start System, Locking Lug Nuts, Security Alarm, Nav-Capable! See Dealer for Details, 6 Month Trial (Registration Required), Media Hub (SD, USB, AUX), Uconnect Access, 8.4" Touchscreen Display, 6 Month Trial (Reg, Required), For Details Visit DriveUconnect.com, Remote SD Card Slot REQUIRES Texas ship to. Engine: 5.7L V8 HEMI MDS VVT, Transmission: 8-Speed Automatic (8HP70), Steering Wheel Mounted Audio Controls, Dual Rear Exhaust w/Bright Tips, Lone Star Regional Package, Full Size Temporary Use Spare Tire, Lone Star Badge, Bright/Bright Billets Grille, Leather Wrapped Steering Wheel, Electric Shift On Demand Transfer Case, Locking Lug Nuts *Upon selection of this pkg, the cost of powertrain components will be added* REQUIRES Texas ship to. Engine: 3.6L V6 24V VVT, Transmission: 8-Speed Automatic (845RE), Steering Wheel Mounted Audio Controls, Lone Star Regional Package, Full Size Temporary Use Spare Tire, Lone Star Badge, Bright/Bright Billets Grille, Leather Wrapped Steering Wheel, Electric Shift On Demand Transfer Case, Locking Lug Nuts REQUIRES Texas ship to. Engine: 3.0L V6 Turbo Diesel, Transmission: 8-Speed Automatic (8HP70), Steering Wheel Mounted Audio Controls, Dual Rear Exhaust w/Bright Tips, Lone Star Regional Package, Full Size Temporary Use Spare Tire, Lone Star Badge, Bright/Bright Billets Grille, Leather Wrapped Steering Wheel, Electric Shift On Demand Transfer Case, Locking Lug Nuts *Upon selection of this pkg, the cost of powertrain components will be added* REQUIRES Texas ship to. Engine: 5.7L V8 HEMI MDS VVT, Transmission: 8-Speed Automatic (8HP70), Steering Wheel Mounted Audio Controls, Dual Rear Exhaust w/Bright Tips, Full Size Temporary Use Spare Tire, Big Horn Regional Package, Big Horn Badge, Bright/Bright Billets Grille, Leather Wrapped Steering Wheel, Electric Shift On Demand Transfer Case, Locking Lug Nuts *Upon selection of this pkg, the cost of powertrain components will be added* NOT AVAILABLE with Texas ship to. Engine: 3.6L V6 24V VVT, Transmission: 8-Speed Automatic (845RE), Lone Star Badge, Bright/Bright Billets Grille, Leather Wrapped Steering Wheel, Steering Wheel Mounted Audio Controls, Fog Lamps, Lone Star Regional Package, Electric Shift On Demand Transfer Case, Locking Lug Nuts, Full Size Temporary Use Spare Tire, Class IV Receiver Hitch (Fleet) REQUIRES Texas ship to. Engine: 5.7L V8 HEMI MDS VVT, Transmission: 8-Speed Automatic (8HP70), Lone Star Badge, Bright/Bright Billets Grille, Leather Wrapped Steering Wheel, Steering Wheel Mounted Audio Controls, Dual Rear Exhaust w/Bright Tips, Fog Lamps, Lone Star Regional Package, Electric Shift On Demand Transfer Case, Locking Lug Nuts, Full Size Temporary Use Spare Tire, Class IV Receiver Hitch (Fleet), GVWR: 6,900 lbs *Upon selection of this pkg, the cost of powertrain components will be added* REQUIRES Texas ship to. Engine: 3.0L V6 Turbo Diesel, Transmission: 8-Speed Auto (8HP70), Lone Star Badge, Bright/Bright Billets Grille, Leather Wrapped Steering Wheel, Steering Wheel Mounted Audio Controls, Dual Rear Exhaust w/Bright Tips, Fog Lamps, Lone Star Regional Package, Electric Shift On Demand Transfer Case, Locking Lug Nuts, Full Size Temporary Use Spare Tire, Class IV Receiver Hitch (Fleet) *Upon selection of this pkg, the cost of powertrain components will be added* REQUIRES Texas ship to. Engine: 3.6L V6 24V VVT, Transmission: 8-Speed Automatic (845RE), Big Horn Badge, Bright/Bright Billets Grille, Leather Wrapped Steering Wheel, Steering Wheel Mounted Audio Controls, Fog Lamps, Electric Shift On Demand Transfer Case, Locking Lug Nuts, Full Size Temporary Use Spare Tire, Class IV Receiver Hitch (Fleet), Big Horn Regional Package NOT AVAILABLE with Texas ship to. Engine: 5.7L V8 HEMI MDS VVT, Transmission: 8-Speed Automatic (8HP70), Big Horn Badge, Bright/Bright Billets Grille, Leather Wrapped Steering Wheel, Steering Wheel Mounted Audio Controls, Dual Rear Exhaust w/Bright Tips, Fog Lamps, Electric Shift On Demand Transfer Case, Locking Lug Nuts, Full Size Temporary Use Spare Tire, Class IV Receiver Hitch (Fleet), GVWR: 6,900 lbs, Big Horn Regional Package *Upon selection of this pkg, the cost of powertrain components will be added* NOT AVAILABLE with Texas ship to. Engine: 3.0L V6 Turbo Diesel, Transmission: 8-Speed Auto (8HP70), Big Horn Badge, Bright/Bright Billets Grille, Leather Wrapped Steering Wheel, Steering Wheel Mounted Audio Controls, Dual Rear Exhaust w/Bright Tips, Fog Lamps, Electric Shift On Demand Transfer Case, Locking Lug Nuts, Full Size Temporary Use Spare Tire, Class IV Receiver Hitch (Fleet), Big Horn Regional Package *Upon selection of this pkg, the cost of powertrain components will be added* NOT AVAILABLE with Texas ship to. Engine: 3.6L V6 24V VVT, Transmission: 8-Speed Automatic (845RE), Steering Wheel Mounted Audio Controls, Full Size Temporary Use Spare Tire, Big Horn Regional Package, Big Horn Badge, Bright/Bright Billets Grille, Leather Wrapped Steering Wheel, Electric Shift On Demand Transfer Case, Locking Lug Nuts NOT AVAILABLE with Texas ship to. Engine: 3.0L V6 Turbo Diesel, Transmission: 8-Speed Automatic (8HP70), Steering Wheel Mounted Audio Controls, Dual Rear Exhaust w/Bright Tips, Full Size Temporary Use Spare Tire, Big Horn Regional Package, Big Horn Badge, Bright/Bright Billets Grille, Leather Wrapped Steering Wheel, Electric Shift On Demand Transfer Case, Locking Lug Nuts *Upon selection of this pkg, the cost of powertrain components will be added* NOT AVAILABLE with Texas ship to. Engine: 5.7L V8 HEMI MDS VVT, Transmission: 8-Speed Automatic (8HP70), Steering Wheel Mounted Audio Controls, Dual Rear Exhaust w/Bright Tips, Lone Star Regional Package, Full Size Temporary Use Spare Tire, Lone Star Badge, Bright/Bright Billets Grille, Leather Wrapped Steering Wheel, Locking Lug Nuts *Upon selection of this pkg, the cost of powertrain components will be added* REQUIRES Texas ship to. Engine: 3.6L V6 24V VVT, Transmission: 8-Speed Automatic (845RE), Lone Star Badge, Bright/Bright Billets Grille, Leather Wrapped Steering Wheel, Steering Wheel Mounted Audio Controls, Lone Star Regional Package, Locking Lug Nuts, Full Size Temporary Use Spare Tire REQUIRES Texas ship to. Engine: 3.0L V6 Turbo Diesel, Transmission: 8-Speed Automatic (8HP70), Steering Wheel Mounted Audio Controls, Dual Rear Exhaust w/Bright Tips, Lone Star Regional Package, Full Size Temporary Use Spare Tire, Lone Star Badge, Bright/Bright Billets Grille, Leather Wrapped Steering Wheel, Locking Lug Nuts *Upon selection of this pkg, the cost of powertrain components will be added* REQUIRES Texas ship to. Engine: 3.6L V6 24V VVT, Transmission: 8-Speed Automatic (845RE), Big Horn Badge, Bright/Bright Billets Grille, Leather Wrapped Steering Wheel, Steering Wheel Mounted Audio Controls, Locking Lug Nuts, Full Size Temporary Use Spare Tire, Big Horn Regional Package NOT AVAILABLE with Texas ship to. Engine: 3.0L V6 Turbo Diesel, Transmission: 8-Speed Automatic (8HP70), Steering Wheel Mounted Audio Controls, Dual Rear Exhaust w/Bright Tips, Full Size Temporary Use Spare Tire, Big Horn Regional Package, Big Horn Badge, Bright/Bright Billets Grille, Leather Wrapped Steering Wheel, Locking Lug Nuts *Upon selection of this pkg, the cost of powertrain components will be added* NOT AVAILABLE with Texas ship to. Engine: 5.7L V8 HEMI MDS VVT, Transmission: 8-Speed Automatic (8HP70), Steering Wheel Mounted Audio Controls, Dual Rear Exhaust w/Bright Tips, Full Size Temporary Use Spare Tire, Big Horn Regional Package, Big Horn Badge, Bright/Bright Billets Grille, Leather Wrapped Steering Wheel, Locking Lug Nuts *Upon selection of this pkg, the cost of powertrain components will be added* NOT AVAILABLE with Texas ship to. Engine: 5.7L V8 HEMI MDS VVT, Transmission: 8-Speed Automatic (8HP70), Lone Star Badge, Bright/Bright Billets Grille, Leather Wrapped Steering Wheel, Steering Wheel Mounted Audio Controls, Dual Rear Exhaust w/Bright Tips, Lone Star Regional Package, Class IV Receiver Hitch (Fleet), Locking Lug Nuts, Full Size Temporary Use Spare Tire REQUIRES Texas ship to. Engine: 5.7L V8 HEMI MDS VVT, Transmission: 8-Speed Automatic (8HP70), Big Horn Badge, Bright/Bright Billets Grille, Leather Wrapped Steering Wheel, Steering Wheel Mounted Audio Controls, Dual Rear Exhaust w/Bright Tips, Class IV Receiver Hitch (Fleet), Locking Lug Nuts, Full Size Temporary Use Spare Tire, Big Horn Regional Package NOT AVAILABLE with Texas ship to. Engine: 3.6L V6 24V VVT, Transmission: 8-Speed Automatic (845RE), Lone Star Badge, Bright/Bright Billets Grille, Leather Wrapped Steering Wheel, Steering Wheel Mounted Audio Controls, Fog Lamps, Lone Star Regional Package, Class IV Receiver Hitch (Fleet), Locking Lug Nuts, Full Size Temporary Use Spare Tire REQUIRES Texas ship to. Engine: 5.7L V8 HEMI MDS VVT, Transmission: 8-Speed Automatic (8HP70), Steering Wheel Mounted Audio Controls, Dual Rear Exhaust w/Bright Tips, Fog Lamps, Lone Star Regional Package, Full Size Temporary Use Spare Tire, Lone Star Badge, Bright/Bright Billets Grille, Leather Wrapped Steering Wheel, Class IV Receiver Hitch (Fleet), Locking Lug Nuts *Upon selection of this pkg, the cost of powertrain components will be added* REQUIRES Texas ship to. Engine: 3.0L V6 Turbo Diesel, Transmission: 8-Speed Auto (8HP70), Steering Wheel Mounted Audio Controls, Dual Rear Exhaust w/Bright Tips, Fog Lamps, Lone Star Regional Package, Full Size Temporary Use Spare Tire, Lone Star Badge, Bright/Bright Billets Grille, Leather Wrapped Steering Wheel, Class IV Receiver Hitch (Fleet), Locking Lug Nuts *Upon selection of this pkg, the cost of powertrain components will be added* REQUIRES Texas ship to. Engine: 3.6L V6 24V VVT, Transmission: 8-Speed Automatic (845RE), Big Horn Badge, Bright/Bright Billets Grille, Leather Wrapped Steering Wheel, Steering Wheel Mounted Audio Controls, Fog Lamps, Class IV Receiver Hitch (Fleet), Locking Lug Nuts, Full Size Temporary Use Spare Tire, Big Horn Regional Package NOT AVAILABLE with Texas ship to. Engine: 5.7L V8 HEMI MDS VVT, Transmission: 8-Speed Automatic (8HP70), Steering Wheel Mounted Audio Controls, Dual Rear Exhaust w/Bright Tips, Fog Lamps, Full Size Temporary Use Spare Tire, Big Horn Regional Package, Big Horn Badge, Bright/Bright Billets Grille, Leather Wrapped Steering Wheel, Class IV Receiver Hitch (Fleet), Locking Lug Nuts *Upon selection of this pkg, the cost of powertrain components will be added* NOT AVAILABLE with Texas ship to. Engine: 3.0L V6 Turbo Diesel, Transmission: 8-Speed Auto (8HP70), Steering Wheel Mounted Audio Controls, Dual Rear Exhaust w/Bright Tips, Fog Lamps, Full Size Temporary Use Spare Tire, Big Horn Regional Package, Big Horn Badge, Bright/Bright Billets Grille, Leather Wrapped Steering Wheel, Class IV Receiver Hitch (Fleet), Locking Lug Nuts *Upon selection of this pkg, the cost of powertrain components will be added* NOT AVAILABLE with Texas ship to. Engine: 5.7L V8 HEMI MDS VVT, Transmission: 8-Speed Automatic (8HP70), Steering Wheel Mounted Audio Controls, Dual Rear Exhaust w/Bright Tips, Fog Lamps, Lone Star Regional Package, Full Size Temporary Use Spare Tire, Lone Star Badge, Bright/Bright Billets Grille, Leather Wrapped Steering Wheel, Electric Shift On Demand Transfer Case, Class IV Receiver Hitch (Fleet), Locking Lug Nuts REQUIRES Texas ship to. Engine: 3.0L V6 Turbo Diesel, Transmission: 8-Speed Auto (8HP70), Steering Wheel Mounted Audio Controls, Dual Rear Exhaust w/Bright Tips, Fog Lamps, Lone Star Regional Package, Full Size Temporary Use Spare Tire, Lone Star Badge, Bright/Bright Billets Grille, Leather Wrapped Steering Wheel, Electric Shift On Demand Transfer Case, Class IV Receiver Hitch (Fleet), Locking Lug Nuts *Upon selection of this pkg, the cost of powertrain components will be added* REQUIRES Texas ship to. Engine: 5.7L V8 HEMI MDS VVT, Transmission: 8-Speed Automatic (8HP70), Steering Wheel Mounted Audio Controls, Dual Rear Exhaust w/Bright Tips, Fog Lamps, Full Size Temporary Use Spare Tire, Big Horn Regional Package, Big Horn Badge, Bright/Bright Billets Grille, Leather Wrapped Steering Wheel, Electric Shift On Demand Transfer Case, Class IV Receiver Hitch (Fleet), Locking Lug Nuts NOT AVAILABLE with Texas ship to. Engine: 3.0L V6 Turbo Diesel, Transmission: 8-Speed Auto (8HP70), Steering Wheel Mounted Audio Controls, Dual Rear Exhaust w/Bright Tips, Fog Lamps, Full Size Temporary Use Spare Tire, Big Horn Regional Package, Big Horn Badge, Bright/Bright Billets Grille, Leather Wrapped Steering Wheel, Electric Shift On Demand Transfer Case, Class IV Receiver Hitch (Fleet), Locking Lug Nuts *Upon selection of this pkg, the cost of powertrain components will be added* NOT AVAILABLE with Texas ship to. Carpet Floor Covering, Front Floor Mats, SIRIUSXM Satellite Radio, For More Info, Call 800-643-2112, No Satellite Coverage w/AK/HI, 1-Year SIRIUSXM Radio Service NOTE: Where CKJ is standard, if you add AJY, you will get carpet. If vinyl floor is desired, you must add CK9 with AJY. Engine: 3.0L V6 Turbo Diesel, Transmission: 8-Speed Automatic (8HP70), Molded-In-Black Upper Fascia, Lone Star Regional Package, Dual Rear Exhaust w/Bright Tips, Special Paint Tracking, Full Size Temporary Use Spare Tire, LED Bed Lighting, Overhead Console w/Garage Dr Opener, Universal Garage Door Opener, Steering Wheel Mounted Audio Controls, Sun Visors w/Illuminated Vanity Mirrors, Electroluminescent Instrument Cluster, Exterior Mirrors Courtesy Lamps, Glove Box Lamp, Underhood Lamp, Auto Dim Exterior Mirrors, Ash Tray Lamp, Exterior Mirrors w/Supplemental Signals, Rear Dome w/On/Off Switch Lamp, Leather Wrapped Steering Wheel, Rear View Auto Dim Mirror w/Microphone, Power Heated Fold-Away Mirrors, Power Folding Mirrors, Lone Star Badge, RamBox Delete, Bright/Bright Billets Grille, Remote Start System, Locking Lug Nuts, Security Alarm, Nav-Capable! See Dealer for Details, 6 Month Trial (Registration Required), Media Hub (SD, USB, AUX), Uconnect Access, 8.4" Touchscreen Display, 6 Month Trial (Reg, Required), For Details Visit DriveUconnect.com, Remote SD Card Slot *Upon selection of this pkg, the cost of powertrain components will be added* REQUIRES Texas ship to. Engine: 5.7L V8 HEMI MDS VVT, Transmission: 8-Speed Automatic (8HP70), Molded-In-Black Upper Fascia, Lone Star Regional Package, Dual Rear Exhaust w/Bright Tips, Special Paint Tracking, Full Size Temporary Use Spare Tire, LED Bed Lighting, Overhead Console w/Garage Dr Opener, Universal Garage Door Opener, Steering Wheel Mounted Audio Controls, Sun Visors w/Illuminated Vanity Mirrors, Electroluminescent Instrument Cluster, Exterior Mirrors Courtesy Lamps, Glove Box Lamp, Underhood Lamp, Auto Dim Exterior Mirrors, Ash Tray Lamp, Exterior Mirrors w/Supplemental Signals, Rear Dome w/On/Off Switch Lamp, Leather Wrapped Steering Wheel, Rear View Auto Dim Mirror w/Microphone, Power Heated Fold-Away Mirrors, Power Folding Mirrors, Lone Star Badge, RamBox Delete, Bright/Bright Billets Grille, Remote Start System, Locking Lug Nuts, Security Alarm, Nav-Capable! See Dealer for Details, 6 Month Trial (Registration Required), Media Hub (SD, USB, AUX), Uconnect Access, 8.4" Touchscreen Display, 6 Month Trial (Reg, Required), For Details Visit DriveUconnect.com, Remote SD Card Slot *Upon selection of this pkg, the cost of powertrain components will be added* REQUIRES Texas ship to. Engine: 3.6L V6 24V VVT, Transmission: 8-Speed Automatic (845RE), Molded-In-Black Upper Fascia, Lone Star Regional Package, Special Paint Tracking, Full Size Temporary Use Spare Tire, LED Bed Lighting, Overhead Console w/Garage Dr Opener, Universal Garage Door Opener, Steering Wheel Mounted Audio Controls, Sun Visors w/Illuminated Vanity Mirrors, Electroluminescent Instrument Cluster, Exterior Mirrors Courtesy Lamps, Glove Box Lamp, Underhood Lamp, Auto Dim Exterior Mirrors, Ash Tray Lamp, Exterior Mirrors w/Supplemental Signals, Rear Dome w/On/Off Switch Lamp, Leather Wrapped Steering Wheel, Rear View Auto Dim Mirror w/Microphone, Power Heated Fold-Away Mirrors, Power Folding Mirrors, Lone Star Badge, RamBox Delete, Bright/Bright Billets Grille, Remote Start System, Locking Lug Nuts, Security Alarm, Nav-Capable! See Dealer for Details, 6 Month Trial (Registration Required), Media Hub (SD, USB, AUX), Uconnect Access, 8.4" Touchscreen Display, 6 Month Trial (Reg, Required), For Details Visit DriveUconnect.com, Remote SD Card Slot REQUIRES Texas ship to. Engine: 5.7L V8 HEMI MDS VVT, Transmission: 8-Speed Automatic (8HP70), Steering Wheel Mounted Audio Controls, Lone Star Regional Package, Sun Visors w/Illuminated Vanity Mirrors, Full Size Temporary Use Spare Tire, Glove Box Lamp, Underhood Lamp, Ash Tray Lamp, Lone Star Badge, Leather Wrapped Steering Wheel, Bright/Bright Billets Grille, Rear View Auto Dim Mirror w/Microphone, Locking Lug Nuts, LED Bed Lighting, Overhead Console w/Garage Dr Opener, Universal Garage Door Opener, Dual Rear Exhaust w/Bright Tips, Electroluminescent Instrument Cluster, Exterior Mirrors Courtesy Lamps, Auto Dim Exterior Mirrors, Exterior Mirrors w/Supplemental Signals, Rear Dome w/On/Off Switch Lamp, Power Heated Fold-Away Mirrors, Remote Start System, Power Folding Mirrors, Security Alarm, Nav-Capable! See Dealer for Details, 6 Month Trial (Registration Required), Media Hub (SD, USB, AUX), Uconnect Access, 8.4" Touchscreen Display, 6 Month Trial (Reg, Required), For Details Visit DriveUconnect.com, Remote SD Card Slot, SIRIUSXM Satellite Radio No satellite coverage in Hawaii or Alaska REQUIRES Texas ship to. Engine: 3.0L V6 Turbo Diesel, Transmission: 8-Speed Auto (8HP70), Steering Wheel Mounted Audio Controls, Lone Star Regional Package, Sun Visors w/Illuminated Vanity Mirrors, Full Size Temporary Use Spare Tire, Glove Box Lamp, Underhood Lamp, Lone Star Badge, Bright/Bright Billets Grille, Leather Wrapped Steering Wheel, Rear View Auto Dim Mirror w/Microphone, Locking Lug Nuts, LED Bed Lighting, Overhead Console w/Garage Dr Opener, Universal Garage Door Opener, Dual Rear Exhaust w/Bright Tips, Electroluminescent Instrument Cluster, Exterior Mirrors Courtesy Lamps, Auto Dim Exterior Mirrors, Exterior Mirrors w/Supplemental Signals, Rear Dome w/On/Off Switch Lamp, Power Heated Fold-Away Mirrors, Remote Start System, Power Folding Mirrors, Security Alarm, Nav-Capable! See Dealer for Details, 6 Month Trial (Registration Required), Media Hub (SD, USB, AUX), Uconnect Access, 8.4" Touchscreen Display, 6 Month Trial (Reg, Required), For Details Visit DriveUconnect.com, Remote SD Card Slot, SIRIUSXM Satellite Radio No satellite coverage in Hawaii or Alaska *Upon selection of this pkg, the cost of powertrain components will be added* REQUIRES Texas ship to. Engine: 5.7L V8 HEMI MDS VVT, Transmission: 8-Speed Automatic (8HP70), Steering Wheel Mounted Audio Controls, Lone Star Regional Package, Sun Visors w/Illuminated Vanity Mirrors, Full Size Temporary Use Spare Tire, Glove Box Lamp, Underhood Lamp, Lone Star Badge, Bright/Bright Billets Grille, Leather Wrapped Steering Wheel, Rear View Auto Dim Mirror w/Microphone, Locking Lug Nuts, LED Bed Lighting, Overhead Console w/Garage Dr Opener, Universal Garage Door Opener, Dual Rear Exhaust w/Bright Tips, Electroluminescent Instrument Cluster, Exterior Mirrors Courtesy Lamps, Auto Dim Exterior Mirrors, Exterior Mirrors w/Supplemental Signals, Rear Dome w/On/Off Switch Lamp, Power Heated Fold-Away Mirrors, Remote Start System, Power Folding Mirrors, Security Alarm, Nav-Capable! See Dealer for Details, 6 Month Trial (Registration Required), Media Hub (SD, USB, AUX), Uconnect Access, 8.4" Touchscreen Display, 6 Month Trial (Reg, Required), For Details Visit DriveUconnect.com, Remote SD Card Slot, SIRIUSXM Satellite Radio No satellite coverage in Hawaii or Alaska *Upon selection of this pkg, the cost of powertrain components will be added* REQUIRES Texas ship to. Engine: 3.6L V6 24V VVT, Transmission: 8-Speed Automatic (845RE), Steering Wheel Mounted Audio Controls, Lone Star Regional Package, Sun Visors w/Illuminated Vanity Mirrors, Full Size Temporary Use Spare Tire, Glove Box Lamp, Underhood Lamp, Lone Star Badge, Bright/Bright Billets Grille, Leather Wrapped Steering Wheel, Rear View Auto Dim Mirror w/Microphone, Locking Lug Nuts, LED Bed Lighting, Overhead Console w/Garage Dr Opener, Universal Garage Door Opener, Electroluminescent Instrument Cluster, Exterior Mirrors Courtesy Lamps, Auto Dim Exterior Mirrors, Exterior Mirrors w/Supplemental Signals, Rear Dome w/On/Off Switch Lamp, Power Heated Fold-Away Mirrors, Remote Start System, Power Folding Mirrors, Security Alarm, Nav-Capable! See Dealer for Details, 6 Month Trial (Registration Required), Media Hub (SD, USB, AUX), Uconnect Access, 8.4" Touchscreen Display, 6 Month Trial (Reg, Required), For Details Visit DriveUconnect.com, Remote SD Card Slot, SIRIUSXM Satellite Radio No satellite coverage in Hawaii or Alaska REQUIRES Texas ship to. Engine: 3.0L V6 Turbo Diesel, Transmission: 8-Speed Automatic (8HP70), Lone Star Regional Package, Dual Rear Exhaust w/Bright Tips, Full Size Temporary Use Spare Tire, LED Bed Lighting, Overhead Console w/Garage Dr Opener, Universal Garage Door Opener, Steering Wheel Mounted Audio Controls, Sun Visors w/Illuminated Vanity Mirrors, Electroluminescent Instrument Cluster, Exterior Mirrors Courtesy Lamps, Glove Box Lamp, Underhood Lamp, Auto Dim Exterior Mirrors, Ash Tray Lamp, Exterior Mirrors w/Supplemental Signals, Rear Dome w/On/Off Switch Lamp, Leather Wrapped Steering Wheel, Rear View Auto Dim Mirror w/Microphone, Power Heated Fold-Away Mirrors, Power Folding Mirrors, Lone Star Badge, Bright/Bright Billets Grille, Electric Shift On Demand Transfer Case, Remote Start System, Locking Lug Nuts, Security Alarm, Nav-Capable! See Dealer for Details, 6 Month Trial (Registration Required), Media Hub (SD, USB, AUX), Uconnect Access, 8.4" Touchscreen Display, 6 Month Trial (Reg, Required), For Details Visit DriveUconnect.com, Remote SD Card Slot *Upon selection of this pkg, the cost of powertrain components will be added* REQUIRES Texas ship to. Engine: 5.7L V8 HEMI MDS VVT, Transmission: 8-Speed Automatic (8HP70), Lone Star Regional Package, Dual Rear Exhaust w/Bright Tips, Black Door Handles, Full Size Temporary Use Spare Tire, LED Bed Lighting, Overhead Console w/Garage Dr Opener, Universal Garage Door Opener, Steering Wheel Mounted Audio Controls, Sun Visors w/Illuminated Vanity Mirrors, Electroluminescent Instrument Cluster, Exterior Mirrors Courtesy Lamps, Glove Box Lamp, Underhood Lamp, Auto Dim Exterior Mirrors, Ash Tray Lamp, Exterior Mirrors w/Supplemental Signals, Rear Dome w/On/Off Switch Lamp, Leather Wrapped Steering Wheel, Rear View Auto Dim Mirror w/Microphone, Power Heated Fold-Away Mirrors, Power Folding Mirrors, Lone Star Badge, Bright/Bright Billets Grille, Electric Shift On Demand Transfer Case, Remote Start System, Locking Lug Nuts, Security Alarm, Nav-Capable! See Dealer for Details, 6 Month Trial (Registration Required), Media Hub (SD, USB, AUX), Uconnect Access, 8.4" Touchscreen Display, 6 Month Trial (Reg, Required), For Details Visit DriveUconnect.com, Remote SD Card Slot *Upon selection of this pkg, the cost of powertrain components will be added* REQUIRES Texas ship to. Engine: 3.6L V6 24V VVT, Transmission: 8-Speed Automatic (845RE), Lone Star Regional Package, Full Size Temporary Use Spare Tire, LED Bed Lighting, Overhead Console w/Garage Dr Opener, Universal Garage Door Opener, Steering Wheel Mounted Audio Controls, Sun Visors w/Illuminated Vanity Mirrors, Electroluminescent Instrument Cluster, Exterior Mirrors Courtesy Lamps, Glove Box Lamp, Underhood Lamp, Auto Dim Exterior Mirrors, Ash Tray Lamp, Exterior Mirrors w/Supplemental Signals, Rear Dome w/On/Off Switch Lamp, Leather Wrapped Steering Wheel, Rear View Auto Dim Mirror w/Microphone, Power Heated Fold-Away Mirrors, Power Folding Mirrors, Lone Star Badge, Bright/Bright Billets Grille, Electric Shift On Demand Transfer Case, Remote Start System, Locking Lug Nuts, Security Alarm, Nav-Capable! See Dealer for Details, 6 Month Trial (Registration Required), Media Hub (SD, USB, AUX), Uconnect Access, 8.4" Touchscreen Display, 6 Month Trial (Reg, Required), For Details Visit DriveUconnect.com, Remote SD Card Slot REQUIRES Texas ship to. Engine: 3.6L V6 24V VVT, Transmission: 8-Speed Automatic (845RE), Steering Wheel Mounted Audio Controls, Lone Star Regional Package, Sun Visors w/Illuminated Vanity Mirrors, Glove Box Lamp, Underhood Lamp, Ash Tray Lamp, Lone Star Badge, Bright/Bright Billets Grille, Leather Wrapped Steering Wheel, Rear View Auto Dim Mirror w/Microphone, LED Bed Lighting, Overhead Console w/Garage Dr Opener, Universal Garage Door Opener, Locking Lug Nuts, Full Size Temporary Use Spare Tire, Electroluminescent Instrument Cluster, Exterior Mirrors Courtesy Lamps, Auto Dim Exterior Mirrors, Exterior Mirrors w/Supplemental Signals, Rear Dome w/On/Off Switch Lamp, Power Heated Fold-Away Mirrors, Electric Shift On Demand Transfer Case, Remote Start System, Power Folding Mirrors, Security Alarm, Nav-Capable! See Dealer for Details, 6 Month Trial (Registration Required), Media Hub (SD, USB, AUX), Uconnect Access, 8.4" Touchscreen Display, 6 Month Trial (Reg, Required), For Details Visit DriveUconnect.com, Remote SD Card Slot REQUIRES Texas ship to. Engine: 3.0L V6 Turbo Diesel, Transmission: 8-Speed Auto (8HP70), Steering Wheel Mounted Audio Controls, Lone Star Regional Package, Sun Visors w/Illuminated Vanity Mirrors, Glove Box Lamp, Underhood Lamp, Ash Tray Lamp, Lone Star Badge, Leather Wrapped Steering Wheel, Bright/Bright Billets Grille, Rear View Auto Dim Mirror w/Microphone, LED Bed Lighting, Overhead Console w/Garage Dr Opener, Universal Garage Door Opener, Dual Rear Exhaust w/Bright Tips, Locking Lug Nuts, Full Size Temporary Use Spare Tire, Electroluminescent Instrument Cluster, Exterior Mirrors Courtesy Lamps, Auto Dim Exterior Mirrors, Exterior Mirrors w/Supplemental Signals, Rear Dome w/On/Off Switch Lamp, Power Heated Fold-Away Mirrors, Electric Shift On Demand Transfer Case, Remote Start System, Power Folding Mirrors, Security Alarm, Nav-Capable! See Dealer for Details, 6 Month Trial (Registration Required), Media Hub (SD, USB, AUX), Uconnect Access, 8.4" Touchscreen Display, 6 Month Trial (Reg, Required), For Details Visit DriveUconnect.com, Remote SD Card Slot *Upon selection of this pkg, the cost of powertrain components will be added* REQUIRES Texas ship to. Engine: 5.7L V8 HEMI MDS VVT, Transmission: 8-Speed Automatic (8HP70), Steering Wheel Mounted Audio Controls, Lone Star Regional Package, Sun Visors w/Illuminated Vanity Mirrors, Glove Box Lamp, Underhood Lamp, Ash Tray Lamp, Lone Star Badge, Leather Wrapped Steering Wheel, Bright/Bright Billets Grille, Rear View Auto Dim Mirror w/Microphone, GVWR: 6,900 lbs, LED Bed Lighting, Overhead Console w/Garage Dr Opener, Universal Garage Door Opener, Dual Rear Exhaust w/Bright Tips, Locking Lug Nuts, Full Size Temporary Use Spare Tire, Electroluminescent Instrument Cluster, Exterior Mirrors Courtesy Lamps, Auto Dim Exterior Mirrors, Exterior Mirrors w/Supplemental Signals, Rear Dome w/On/Off Switch Lamp, Power Heated Fold-Away Mirrors, Electric Shift On Demand Transfer Case, Remote Start System, Power Folding Mirrors, Security Alarm, Nav-Capable! See Dealer for Details, 6 Month Trial (Registration Required), Media Hub (SD, USB, AUX), Uconnect Access, 8.4" Touchscreen Display, 6 Month Trial (Reg, Required), For Details Visit DriveUconnect.com, Remote SD Card Slot *Upon selection of this pkg, the cost of powertrain components will be added* REQUIRES Texas ship to. Engine: 5.7L V8 HEMI MDS VVT, Transmission: 8-Speed Automatic (8HP70), Steering Wheel Mounted Audio Controls, Lone Star Regional Package, Sun Visors w/Illuminated Vanity Mirrors, Full Size Temporary Use Spare Tire, Glove Box Lamp, Underhood Lamp, Lone Star Badge, Leather Wrapped Steering Wheel, Bright/Bright Billets Grille, Rear View Auto Dim Mirror w/Microphone, Locking Lug Nuts, LED Bed Lighting, Overhead Console w/Garage Dr Opener, Universal Garage Door Opener, Dual Rear Exhaust w/Bright Tips, Electroluminescent Instrument Cluster, Exterior Mirrors Courtesy Lamps, Auto Dim Exterior Mirrors, Exterior Mirrors w/Supplemental Signals, Rear Dome w/On/Off Switch Lamp, Power Heated Fold-Away Mirrors, Electric Shift On Demand Transfer Case, Remote Start System, Power Folding Mirrors, Security Alarm, Nav-Capable! See Dealer for Details, 6 Month Trial (Registration Required), Media Hub (SD, USB, AUX), Uconnect Access, 8.4" Touchscreen Display, 6 Month Trial (Reg, Required), For Details Visit DriveUconnect.com, Remote SD Card Slot, SIRIUSXM Satellite Radio No satellite coverage in Hawaii or Alaska REQUIRES Texas ship to. Engine: 3.0L V6 Turbo Diesel, Transmission: 8-Speed Auto (8HP70), Steering Wheel Mounted Audio Controls, Lone Star Regional Package, Sun Visors w/Illuminated Vanity Mirrors, Full Size Temporary Use Spare Tire, Glove Box Lamp, Underhood Lamp, Lone Star Badge, Leather Wrapped Steering Wheel, Bright/Bright Billets Grille, Rear View Auto Dim Mirror w/Microphone, Locking Lug Nuts, LED Bed Lighting, Overhead Console w/Garage Dr Opener, Universal Garage Door Opener, Dual Rear Exhaust w/Bright Tips, Electroluminescent Instrument Cluster, Exterior Mirrors Courtesy Lamps, Auto Dim Exterior Mirrors, Exterior Mirrors w/Supplemental Signals, Rear Dome w/On/Off Switch Lamp, Power Heated Fold-Away Mirrors, Electric Shift On Demand Transfer Case, Remote Start System, Power Folding Mirrors, Security Alarm, Nav-Capable! See Dealer for Details, 6 Month Trial (Registration Required), Media Hub (SD, USB, AUX), Uconnect Access, 8.4" Touchscreen Display, 6 Month Trial (Reg, Required), For Details Visit DriveUconnect.com, Remote SD Card Slot, SIRIUSXM Satellite Radio No satellite coverage in Hawaii or Alaska *Upon selection of this pkg, the cost of powertrain components will be added* REQUIRES Texas ship to. Engine: 5.7L V8 HEMI MDS VVT, Transmission: 8-Speed Automatic (8HP70), Fog Lamps, Dual Rear Exhaust w/Bright Tips, Ram 1500 Express, Body Color Grille, Wheels: 20" x 8.0" Aluminum, Body Color Rear Bumper w/Step Pads, Front & Rear Floor Mats, Tires: P275/60R20 BSW AS, Full Size Temporary Use Spare Tire, Body Color Front Fascia, Locking Lug Nuts, GVWR: 6,900 lbs *Upon selection of this pkg, the cost of powertrain components will be added* DELETES the standard Class IV Receiver Hitch and Spray in Bedliner. Engine: 3.6L V6 24V VVT, Transmission: 8-Speed Automatic (845RE), Fog Lamps, Ram 1500 Express, Body Color Grille, Wheels: 20" x 8.0" Aluminum, Body Color Rear Bumper w/Step Pads, Front & Rear Floor Mats, Tires: P275/60R20 BSW AS, Full Size Temporary Use Spare Tire, Body Color Front Fascia, Locking Lug Nuts DELETES the standard Class IV Receiver Hitch and Spray in Bedliner. 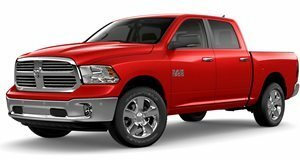 Engine: 5.7L V8 HEMI MDS VVT, Transmission: 8-Speed Automatic (8HP70), Fog Lamps, Dual Rear Exhaust w/Bright Tips, Ram 1500 Express, Body Color Grille, Wheels: 20" x 8.0" Aluminum, Body Color Rear Bumper w/Step Pads, Front & Rear Floor Mats, Tires: P275/60R20 BSW AS, Full Size Temporary Use Spare Tire, Body Color Front Fascia, Locking Lug Nuts *Upon selection of this pkg, the cost of powertrain components will be added* DELETES the standard Class IV Receiver Hitch and Spray in Bedliner. Engine: 3.6L V6 24V VVT, Transmission: 8-Speed Automatic (845RE), Fog Lamps, Ram 1500 Express, Body Color Grille, Wheels: 20" x 8" Aluminum, Delete Class IV Receiver Hitch, Carpet Floor Covering, Body Color Rear Bumper w/Step Pads, Front & Rear Floor Mats, Tires: P275/60R20 BSW AS, Full Size Temporary Use Spare Tire, Body Color Front Fascia, Locking Lug Nuts DELETES the standard Class IV Receiver Hitch and Spray in Bedliner. Engine: 5.7L V8 HEMI MDS VVT, Transmission: 8-Speed Automatic (8HP70), Fog Lamps, Dual Rear Exhaust w/Bright Tips, Ram 1500 Express, Body Color Grille, Wheels: 20" x 8" Aluminum, Delete Class IV Receiver Hitch, Carpet Floor Covering, Body Color Rear Bumper w/Step Pads, Front & Rear Floor Mats, Tires: P275/60R20 BSW AS, Full Size Temporary Use Spare Tire, Body Color Front Fascia, Locking Lug Nuts, GVWR: 6,900 lbs *Upon selection of this pkg, the cost of powertrain components will be added* DELETES the standard Class IV Receiver Hitch and Spray in Bedliner. Engine: 5.7L V8 HEMI MDS VVT, Transmission: 8-Speed Automatic (8HP70), Fog Lamps, Dual Rear Exhaust w/Bright Tips, Ram 1500 Express, Body Color Grille, Wheels: 20" x 8" Aluminum, Delete Class IV Receiver Hitch, Carpet Floor Covering, Body Color Rear Bumper w/Step Pads, Front & Rear Floor Mats, Tires: P275/60R20 BSW AS, Full Size Temporary Use Spare Tire, Body Color Front Fascia, GVWR: 6,900 lbs, Locking Lug Nuts *Upon selection of this pkg, the cost of powertrain components will be added* DELETES the standard Class IV Receiver Hitch and Spray in Bedliner. Engine: 3.6L V6 24V VVT, Transmission: 8-Speed Automatic (845RE), Full Size Temporary Use Spare Tire, LED Bed Lighting, Overhead Console w/Garage Dr Opener, Universal Garage Door Opener, Steering Wheel Mounted Audio Controls, Sun Visors w/Illuminated Vanity Mirrors, Electroluminescent Instrument Cluster, Exterior Mirrors Courtesy Lamps, Glove Box Lamp, Underhood Lamp, Auto Dim Exterior Mirrors, Ash Tray Lamp, Exterior Mirrors w/Supplemental Signals, Rear Dome w/On/Off Switch Lamp, Leather Wrapped Steering Wheel, Rear View Auto Dim Mirror w/Microphone, Power Heated Fold-Away Mirrors, Power Folding Mirrors, Big Horn Regional Package, Bighorn Badge, Bright/Bright Billets Grille, Remote Start System, Locking Lug Nuts, Security Alarm, Nav-Capable! See Dealer for Details, 6 Month Trial (Registration Required), Media Hub (SD, USB, AUX), For Details Visit DriveUconnect.com, Harman Radio Manufacturer, Uconnect Access, 8.4" Touchscreen Display, 6 Month Trial (Reg, Required), Remote SD Card Slot NOT AVAILABLE with Texas ship to. Engine: 5.7L V8 HEMI MDS VVT, Transmission: 8-Speed Automatic (8HP70), Full Size Temporary Use Spare Tire, LED Bed Lighting, Overhead Console w/Garage Dr Opener, Universal Garage Door Opener, Steering Wheel Mounted Audio Controls, Sun Visors w/Illuminated Vanity Mirrors, Electroluminescent Instrument Cluster, Exterior Mirrors Courtesy Lamps, Glove Box Lamp, Underhood Lamp, Auto Dim Exterior Mirrors, Ash Tray Lamp, Exterior Mirrors w/Supplemental Signals, Rear Dome w/On/Off Switch Lamp, Leather Wrapped Steering Wheel, Rear View Auto Dim Mirror w/Microphone, Power Heated Fold-Away Mirrors, Power Folding Mirrors, Big Horn Regional Package, Bighorn Badge, Bright/Bright Billets Grille, Remote Start System, Locking Lug Nuts, Security Alarm, Nav-Capable! See Dealer for Details, 6 Month Trial (Registration Required), Media Hub (SD, USB, AUX), For Details Visit DriveUconnect.com, Harman Radio Manufacturer, Uconnect Access, 8.4" Touchscreen Display, 6 Month Trial (Reg, Required), Remote SD Card Slot *Upon selection of this pkg, the cost of powertrain components will be added* NOT AVAILABLE with Texas ship to. Engine: 3.0L V6 Turbo Diesel, Transmission: 8-Speed Automatic (8HP70) (DFD), Full Size Temporary Use Spare Tire, LED Bed Lighting, Overhead Console w/Garage Dr Opener, Universal Garage Door Opener, Steering Wheel Mounted Audio Controls, Sun Visors w/Illuminated Vanity Mirrors, Electroluminescent Instrument Cluster, Exterior Mirrors Courtesy Lamps, Glove Box Lamp, Underhood Lamp, Auto Dim Exterior Mirrors, Ash Tray Lamp, Exterior Mirrors w/Supplemental Signals, Rear Dome w/On/Off Switch Lamp, Leather Wrapped Steering Wheel, Rear View Auto Dim Mirror w/Microphone, Power Heated Fold-Away Mirrors, Power Folding Mirrors, Big Horn Regional Package, Bighorn Badge, Bright/Bright Billets Grille, Remote Start System, Locking Lug Nuts, Security Alarm, Nav-Capable! See Dealer for Details, 6 Month Trial (Registration Required), Media Hub (SD, USB, AUX), For Details Visit DriveUconnect.com, Harman Radio Manufacturer, Uconnect Access, 8.4" Touchscreen Display, 6 Month Trial (Reg, Required), Remote SD Card Slot *Upon selection of this pkg, the cost of powertrain components will be added* NOT AVAILABLE with Texas ship to. Engine: 3.6L V6 24V VVT, Transmission: 8-Speed Automatic (845RE), Full Size Temporary Use Spare Tire, LED Bed Lighting, Overhead Console w/Garage Dr Opener, Universal Garage Door Opener, Steering Wheel Mounted Audio Controls, Sun Visors w/Illuminated Vanity Mirrors, Electroluminescent Instrument Cluster, Exterior Mirrors Courtesy Lamps, Glove Box Lamp, Underhood Lamp, Auto Dim Exterior Mirrors, Ash Tray Lamp, Exterior Mirrors w/Supplemental Signals, Rear Dome w/On/Off Switch Lamp, Leather Wrapped Steering Wheel, Rear View Auto Dim Mirror w/Microphone, Power Heated Fold-Away Mirrors, Power Folding Mirrors, Big Horn Regional Package, Bighorn Badge, Bright/Bright Billets Grille, Remote Start System, Locking Lug Nuts, Security Alarm, Nav-Capable! See Dealer for Details, 6 Month Trial (Registration Required), Media Hub (SD, USB, AUX), Uconnect Access, 8.4" Touchscreen Display, 6 Month Trial (Reg, Required), For Details Visit DriveUconnect.com, Remote SD Card Slot NOT AVAILABLE with Texas ship to. Engine: 5.7L V8 HEMI MDS VVT, Transmission: 8-Speed Automatic (8HP70), Full Size Temporary Use Spare Tire, LED Bed Lighting, Overhead Console w/Garage Dr Opener, Universal Garage Door Opener, Steering Wheel Mounted Audio Controls, Sun Visors w/Illuminated Vanity Mirrors, Electroluminescent Instrument Cluster, Exterior Mirrors Courtesy Lamps, Glove Box Lamp, Underhood Lamp, Auto Dim Exterior Mirrors, Ash Tray Lamp, Exterior Mirrors w/Supplemental Signals, Rear Dome w/On/Off Switch Lamp, Leather Wrapped Steering Wheel, Rear View Auto Dim Mirror w/Microphone, Power Heated Fold-Away Mirrors, Power Folding Mirrors, Big Horn Regional Package, Bighorn Badge, Bright/Bright Billets Grille, Remote Start System, Locking Lug Nuts, Security Alarm, Nav-Capable! See Dealer for Details, 6 Month Trial (Registration Required), Media Hub (SD, USB, AUX), Uconnect Access, 8.4" Touchscreen Display, 6 Month Trial (Reg, Required), For Details Visit DriveUconnect.com, Remote SD Card Slot *Upon selection of this pkg, the cost of powertrain components will be added* NOT AVAILABLE with Texas ship to. Engine: 5.7L V8 HEMI MDS VVT, Transmission: 8-Speed Automatic (8HP70), Dual Rear Exhaust w/Bright Tips, Full Size Temporary Use Spare Tire, LED Bed Lighting, Overhead Console w/Garage Dr Opener, Universal Garage Door Opener, Steering Wheel Mounted Audio Controls, Sun Visors w/Illuminated Vanity Mirrors, Electroluminescent Instrument Cluster, Exterior Mirrors Courtesy Lamps, Glove Box Lamp, Underhood Lamp, Auto Dim Exterior Mirrors, Ash Tray Lamp, Exterior Mirrors w/Supplemental Signals, Rear Dome w/On/Off Switch Lamp, Leather Wrapped Steering Wheel, Rear View Auto Dim Mirror w/Microphone, Power Heated Fold-Away Mirrors, Power Folding Mirrors, Big Horn Regional Package, Bighorn Badge, Bright/Bright Billets Grille, Electric Shift On Demand Transfer Case, Remote Start System, Locking Lug Nuts, Security Alarm, Nav-Capable! See Dealer for Details, 6 Month Trial (Registration Required), Media Hub (SD, USB, AUX), Uconnect Access, 8.4" Touchscreen Display, 6 Month Trial (Reg, Required), For Details Visit DriveUconnect.com, Remote SD Card Slot *Upon selection of this pkg, the cost of powertrain components will be added* NOT AVAILABLE with Texas ship to. Engine: 3.6L V6 24V VVT, Transmission: 8-Speed Automatic (845RE), Full Size Temporary Use Spare Tire, LED Bed Lighting, Overhead Console w/Garage Dr Opener, Universal Garage Door Opener, Steering Wheel Mounted Audio Controls, Sun Visors w/Illuminated Vanity Mirrors, Electroluminescent Instrument Cluster, Exterior Mirrors Courtesy Lamps, Glove Box Lamp, Underhood Lamp, Auto Dim Exterior Mirrors, Ash Tray Lamp, Exterior Mirrors w/Supplemental Signals, Rear Dome w/On/Off Switch Lamp, Leather Wrapped Steering Wheel, Rear View Auto Dim Mirror w/Microphone, Power Heated Fold-Away Mirrors, Power Folding Mirrors, Big Horn Regional Package, Bighorn Badge, Bright/Bright Billets Grille, Electric Shift On Demand Transfer Case, Remote Start System, Locking Lug Nuts, Security Alarm, Nav-Capable! See Dealer for Details, 6 Month Trial (Registration Required), Media Hub (SD, USB, AUX), Uconnect Access, 8.4" Touchscreen Display, 6 Month Trial (Reg, Required), For Details Visit DriveUconnect.com, Remote SD Card Slot NOT AVAILABLE with Texas ship to. Engine: 3.0L V6 Turbo Diesel, Transmission: 8-Speed Automatic (8HP70) (DFD), Full Size Temporary Use Spare Tire, LED Bed Lighting, Overhead Console w/Garage Dr Opener, Universal Garage Door Opener, Steering Wheel Mounted Audio Controls, Sun Visors w/Illuminated Vanity Mirrors, Electroluminescent Instrument Cluster, Exterior Mirrors Courtesy Lamps, Glove Box Lamp, Underhood Lamp, Auto Dim Exterior Mirrors, Ash Tray Lamp, Exterior Mirrors w/Supplemental Signals, Rear Dome w/On/Off Switch Lamp, Leather Wrapped Steering Wheel, Rear View Auto Dim Mirror w/Microphone, Power Heated Fold-Away Mirrors, Power Folding Mirrors, Big Horn Regional Package, Bighorn Badge, Bright/Bright Billets Grille, Electric Shift On Demand Transfer Case, Remote Start System, Locking Lug Nuts, Security Alarm, Nav-Capable! See Dealer for Details, 6 Month Trial (Registration Required), Media Hub (SD, USB, AUX), For Details Visit DriveUconnect.com, Harman Radio Manufacturer, Uconnect Access, 8.4" Touchscreen Display, 6 Month Trial (Reg, Required), Remote SD Card Slot *Upon selection of this pkg, the cost of powertrain components will be added* NOT AVAILABLE with Texas ship to. Engine: 3.6L V6 24V VVT, Transmission: 8-Speed Automatic (845RE), Full Size Temporary Use Spare Tire, LED Bed Lighting, Overhead Console w/Garage Dr Opener, Universal Garage Door Opener, Steering Wheel Mounted Audio Controls, Sun Visors w/Illuminated Vanity Mirrors, Electroluminescent Instrument Cluster, Exterior Mirrors Courtesy Lamps, Glove Box Lamp, Underhood Lamp, Auto Dim Exterior Mirrors, Ash Tray Lamp, Exterior Mirrors w/Supplemental Signals, Rear Dome w/On/Off Switch Lamp, Leather Wrapped Steering Wheel, Rear View Auto Dim Mirror w/Microphone, Power Heated Fold-Away Mirrors, Power Folding Mirrors, Big Horn Regional Package, Bighorn Badge, Bright/Bright Billets Grille, Electric Shift On Demand Transfer Case, Remote Start System, Locking Lug Nuts, Security Alarm, Nav-Capable! See Dealer for Details, 6 Month Trial (Registration Required), Media Hub (SD, USB, AUX), For Details Visit DriveUconnect.com, Harman Radio Manufacturer, Uconnect Access, 8.4" Touchscreen Display, 6 Month Trial (Reg, Required), Remote SD Card Slot NOT AVAILABLE with Texas ship to. Engine: 5.7L V8 HEMI MDS VVT, Transmission: 8-Speed Automatic (8HP70), Full Size Temporary Use Spare Tire, LED Bed Lighting, Overhead Console w/Garage Dr Opener, Universal Garage Door Opener, Steering Wheel Mounted Audio Controls, Sun Visors w/Illuminated Vanity Mirrors, Electroluminescent Instrument Cluster, Exterior Mirrors Courtesy Lamps, Glove Box Lamp, Underhood Lamp, Auto Dim Exterior Mirrors, Ash Tray Lamp, Exterior Mirrors w/Supplemental Signals, Rear Dome w/On/Off Switch Lamp, Leather Wrapped Steering Wheel, Rear View Auto Dim Mirror w/Microphone, Power Heated Fold-Away Mirrors, Power Folding Mirrors, Big Horn Regional Package, Bighorn Badge, Bright/Bright Billets Grille, Electric Shift On Demand Transfer Case, Remote Start System, Locking Lug Nuts, Security Alarm, Nav-Capable! See Dealer for Details, 6 Month Trial (Registration Required), Media Hub (SD, USB, AUX), For Details Visit DriveUconnect.com, Harman Radio Manufacturer, Uconnect Access, 8.4" Touchscreen Display, 6 Month Trial (Reg, Required), Remote SD Card Slot *Upon selection of this pkg, the cost of powertrain components will be added* NOT AVAILABLE with Texas ship to. Engine: 3.0L V6 Turbo Diesel, Transmission: 8-Speed Auto (8HP70), Steering Wheel Mounted Audio Controls, Sun Visors w/Illuminated Vanity Mirrors, Glove Box Lamp, Underhood Lamp, Ash Tray Lamp, Big Horn Badge, Leather Wrapped Steering Wheel, Bright/Bright Billets Grille, Rear View Auto Dim Mirror w/Microphone, LED Bed Lighting, Overhead Console w/Garage Dr Opener, Universal Garage Door Opener, Dual Rear Exhaust w/Bright Tips, Locking Lug Nuts, Full Size Temporary Use Spare Tire, Electroluminescent Instrument Cluster, Exterior Mirrors Courtesy Lamps, Auto Dim Exterior Mirrors, Big Horn Regional Package, Exterior Mirrors w/Supplemental Signals, Rear Dome w/On/Off Switch Lamp, Power Heated Fold-Away Mirrors, Electric Shift On Demand Transfer Case, Remote Start System, Power Folding Mirrors, Security Alarm, Nav-Capable! See Dealer for Details, 6 Month Trial (Registration Required), Media Hub (SD, USB, AUX), Uconnect Access, 8.4" Touchscreen Display, 6 Month Trial (Reg, Required), For Details Visit DriveUconnect.com, Remote SD Card Slot *Upon selection of this pkg, the cost of powertrain components will be added* NOT AVAILABLE with Texas ship to. Engine: 5.7L V8 HEMI MDS VVT, Transmission: 8-Speed Automatic (8HP70), Steering Wheel Mounted Audio Controls, Sun Visors w/Illuminated Vanity Mirrors, Glove Box Lamp, Underhood Lamp, Ash Tray Lamp, Big Horn Badge, Leather Wrapped Steering Wheel, Bright/Bright Billets Grille, Rear View Auto Dim Mirror w/Microphone, GVWR: 6,900 lbs, LED Bed Lighting, Overhead Console w/Garage Dr Opener, Universal Garage Door Opener, Dual Rear Exhaust w/Bright Tips, Locking Lug Nuts, Full Size Temporary Use Spare Tire, Electroluminescent Instrument Cluster, Exterior Mirrors Courtesy Lamps, Auto Dim Exterior Mirrors, Big Horn Regional Package, Exterior Mirrors w/Supplemental Signals, Rear Dome w/On/Off Switch Lamp, Power Heated Fold-Away Mirrors, Electric Shift On Demand Transfer Case, Remote Start System, Power Folding Mirrors, Security Alarm, Nav-Capable! See Dealer for Details, 6 Month Trial (Registration Required), Media Hub (SD, USB, AUX), Uconnect Access, 8.4" Touchscreen Display, 6 Month Trial (Reg, Required), For Details Visit DriveUconnect.com, Remote SD Card Slot *Upon selection of this pkg, the cost of powertrain components will be added* NOT AVAILABLE with Texas ship to. Engine: 3.6L V6 24V VVT, Transmission: 8-Speed Automatic (845RE), Steering Wheel Mounted Audio Controls, Sun Visors w/Illuminated Vanity Mirrors, Glove Box Lamp, Underhood Lamp, Ash Tray Lamp, Big Horn Badge, Leather Wrapped Steering Wheel, Bright/Bright Billets Grille, Rear View Auto Dim Mirror w/Microphone, LED Bed Lighting, Overhead Console w/Garage Dr Opener, Universal Garage Door Opener, Locking Lug Nuts, Full Size Temporary Use Spare Tire, Electroluminescent Instrument Cluster, Exterior Mirrors Courtesy Lamps, Auto Dim Exterior Mirrors, Big Horn Regional Package, Exterior Mirrors w/Supplemental Signals, Rear Dome w/On/Off Switch Lamp, Power Heated Fold-Away Mirrors, Electric Shift On Demand Transfer Case, Remote Start System, Power Folding Mirrors, Security Alarm, Nav-Capable! See Dealer for Details, 6 Month Trial (Registration Required), Media Hub (SD, USB, AUX), Uconnect Access, 8.4" Touchscreen Display, 6 Month Trial (Reg, Required), For Details Visit DriveUconnect.com, Remote SD Card Slot NOT AVAILABLE with Texas ship to. Engine: 5.7L V8 HEMI MDS VVT, Transmission: 8-Speed Automatic (8HP70), Steering Wheel Mounted Audio Controls, Sun Visors w/Illuminated Vanity Mirrors, Glove Box Lamp, Full Size Temporary Use Spare Tire, Underhood Lamp, Big Horn Badge, Leather Wrapped Steering Wheel, Bright/Bright Billets Grille, Rear View Auto Dim Mirror w/Microphone, Locking Lug Nuts, LED Bed Lighting, Overhead Console w/Garage Dr Opener, Universal Garage Door Opener, Dual Rear Exhaust w/Bright Tips, Electroluminescent Instrument Cluster, Exterior Mirrors Courtesy Lamps, Auto Dim Exterior Mirrors, Big Horn Regional Package, Exterior Mirrors w/Supplemental Signals, Rear Dome w/On/Off Switch Lamp, Power Heated Fold-Away Mirrors, Remote Start System, Power Folding Mirrors, Security Alarm, Nav-Capable! See Dealer for Details, 6 Month Trial (Registration Required), Media Hub (SD, USB, AUX), Uconnect Access, 8.4" Touchscreen Display, 6 Month Trial (Reg, Required), For Details Visit DriveUconnect.com, Remote SD Card Slot, SIRIUSXM Satellite Radio No satellite coverage in Hawaii or Alaska *Upon selection of this pkg, the cost of powertrain components will be added* NOT AVAILABLE with Texas ship to. Engine: 3.6L V6 24V VVT, Transmission: 8-Speed Automatic (845RE), Steering Wheel Mounted Audio Controls, Sun Visors w/Illuminated Vanity Mirrors, Full Size Temporary Use Spare Tire, Glove Box Lamp, Underhood Lamp, Big Horn Badge, Leather Wrapped Steering Wheel, Bright/Bright Billets Grille, Rear View Auto Dim Mirror w/Microphone, Locking Lug Nuts, LED Bed Lighting, Overhead Console w/Garage Dr Opener, Universal Garage Door Opener, Electroluminescent Instrument Cluster, Exterior Mirrors Courtesy Lamps, Auto Dim Exterior Mirrors, Big Horn Regional Package, Exterior Mirrors w/Supplemental Signals, Rear Dome w/On/Off Switch Lamp, Power Heated Fold-Away Mirrors, Remote Start System, Power Folding Mirrors, Security Alarm, Nav-Capable! See Dealer for Details, 6 Month Trial (Registration Required), Media Hub (SD, USB, AUX), Uconnect Access, 8.4" Touchscreen Display, 6 Month Trial (Reg, Required), For Details Visit DriveUconnect.com, Remote SD Card Slot, SIRIUSXM Satellite Radio No satellite coverage in Hawaii or Alaska NOT AVAILABLE with Texas ship to. Engine: 3.0L V6 Turbo Diesel, Transmission: 8-Speed Auto (8HP70), Steering Wheel Mounted Audio Controls, Sun Visors w/Illuminated Vanity Mirrors, Glove Box Lamp, Full Size Temporary Use Spare Tire, Underhood Lamp, Big Horn Badge, Leather Wrapped Steering Wheel, Bright/Bright Billets Grille, Rear View Auto Dim Mirror w/Microphone, Locking Lug Nuts, LED Bed Lighting, Overhead Console w/Garage Dr Opener, Universal Garage Door Opener, Dual Rear Exhaust w/Bright Tips, Electroluminescent Instrument Cluster, Exterior Mirrors Courtesy Lamps, Auto Dim Exterior Mirrors, Big Horn Regional Package, Exterior Mirrors w/Supplemental Signals, Rear Dome w/On/Off Switch Lamp, Power Heated Fold-Away Mirrors, Remote Start System, Power Folding Mirrors, Security Alarm, Nav-Capable! See Dealer for Details, 6 Month Trial (Registration Required), Media Hub (SD, USB, AUX), Uconnect Access, 8.4" Touchscreen Display, 6 Month Trial (Reg, Required), For Details Visit DriveUconnect.com, Remote SD Card Slot, SIRIUSXM Satellite Radio No satellite coverage in Hawaii or Alaska *Upon selection of this pkg, the cost of powertrain components will be added* NOT AVAILABLE with Texas ship to. Engine: 5.7L V8 HEMI MDS VVT, Transmission: 8-Speed Automatic (8HP70), Steering Wheel Mounted Audio Controls, Sun Visors w/Illuminated Vanity Mirrors, Glove Box Lamp, Full Size Temporary Use Spare Tire, Underhood Lamp, Ash Tray Lamp, Big Horn Badge, Leather Wrapped Steering Wheel, Bright/Bright Billets Grille, Rear View Auto Dim Mirror w/Microphone, Locking Lug Nuts, LED Bed Lighting, Overhead Console w/Garage Dr Opener, Universal Garage Door Opener, Dual Rear Exhaust w/Bright Tips, Electroluminescent Instrument Cluster, Exterior Mirrors Courtesy Lamps, Auto Dim Exterior Mirrors, Big Horn Regional Package, Exterior Mirrors w/Supplemental Signals, Rear Dome w/On/Off Switch Lamp, Power Heated Fold-Away Mirrors, Remote Start System, Power Folding Mirrors, Security Alarm, Nav-Capable! See Dealer for Details, 6 Month Trial (Registration Required), Media Hub (SD, USB, AUX), Uconnect Access, 8.4" Touchscreen Display, 6 Month Trial (Reg, Required), For Details Visit DriveUconnect.com, Remote SD Card Slot, SIRIUSXM Satellite Radio No satellite coverage in Hawaii or Alaska NOT AVAILABLE with Texas ship to. Engine: 3.0L V6 Turbo Diesel, Transmission: 8-Speed Auto (8HP70), Steering Wheel Mounted Audio Controls, Sun Visors w/Illuminated Vanity Mirrors, Glove Box Lamp, Full Size Temporary Use Spare Tire, Underhood Lamp, Big Horn Badge, Leather Wrapped Steering Wheel, Bright/Bright Billets Grille, Rear View Auto Dim Mirror w/Microphone, Locking Lug Nuts, LED Bed Lighting, Overhead Console w/Garage Dr Opener, Universal Garage Door Opener, Dual Rear Exhaust w/Bright Tips, Electroluminescent Instrument Cluster, Exterior Mirrors Courtesy Lamps, Auto Dim Exterior Mirrors, Big Horn Regional Package, Exterior Mirrors w/Supplemental Signals, Rear Dome w/On/Off Switch Lamp, Power Heated Fold-Away Mirrors, Electric Shift On Demand Transfer Case, Remote Start System, Power Folding Mirrors, Security Alarm, Nav-Capable! See Dealer for Details, 6 Month Trial (Registration Required), Media Hub (SD, USB, AUX), Uconnect Access, 8.4" Touchscreen Display, 6 Month Trial (Reg, Required), For Details Visit DriveUconnect.com, Remote SD Card Slot, SIRIUSXM Satellite Radio No satellite coverage in Hawaii or Alaska *Upon selection of this pkg, the cost of powertrain components will be added* NOT AVAILABLE with Texas ship to. Engine: 5.7L V8 HEMI MDS VVT, Transmission: 8-Speed Automatic (8HP70), Steering Wheel Mounted Audio Controls, Sun Visors w/Illuminated Vanity Mirrors, Glove Box Lamp, Full Size Temporary Use Spare Tire, Underhood Lamp, Big Horn Badge, Leather Wrapped Steering Wheel, Bright/Bright Billets Grille, Rear View Auto Dim Mirror w/Microphone, Locking Lug Nuts, LED Bed Lighting, Overhead Console w/Garage Dr Opener, Universal Garage Door Opener, Dual Rear Exhaust w/Bright Tips, Electroluminescent Instrument Cluster, Exterior Mirrors Courtesy Lamps, Auto Dim Exterior Mirrors, Big Horn Regional Package, Exterior Mirrors w/Supplemental Signals, Rear Dome w/On/Off Switch Lamp, Power Heated Fold-Away Mirrors, Electric Shift On Demand Transfer Case, Remote Start System, Power Folding Mirrors, Security Alarm, Nav-Capable! See Dealer for Details, 6 Month Trial (Registration Required), Media Hub (SD, USB, AUX), Uconnect Access, 8.4" Touchscreen Display, 6 Month Trial (Reg, Required), For Details Visit DriveUconnect.com, Remote SD Card Slot, SIRIUSXM Satellite Radio No satellite coverage in Hawaii or Alaska NOT AVAILABLE with Texas ship to.